Harrow School is a private boarding school for boys in Harrow, London, United Kingdom. It was founded in 1572 and currently has around 800 boys enrolled. 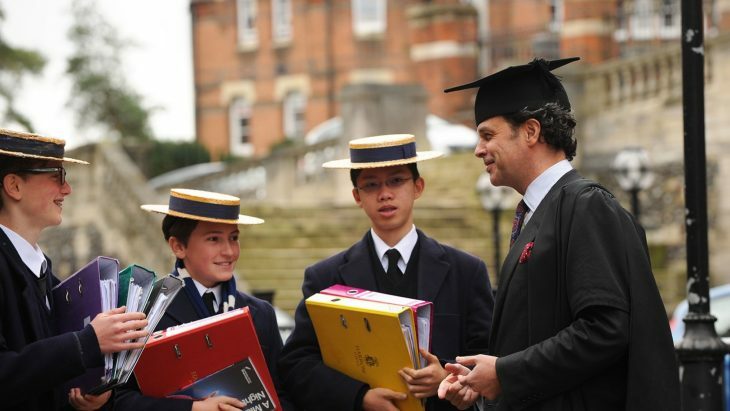 Every year Harrow School admits about 160 boys into Year 9, in the September following their 13th birthday, and up to 20 boys, normally aged 16, into the Sixth Form (Year 12).